The Administration of the Posen Police Department ensures effective and ongoing police services vital to the community. The Patrol Division is responsible for the detection and prevention of most crimes likely to take place in our community and responsible for the enforcement of all state laws, traffic laws and local ordinance violations. The Patrol Division takes part in an ongoing exchange of information between the police department and school administrators during the school year. Detectives of the Posen Police Department are responsible for the follow up investigation of crimes reported to the Posen Police, processing crime scenes, interviewing victims, witnesses and suspects and other functions associated with investigative protocol. The Posen Police Department hosts a Community “Neighborhood Watch” meeting every other month. These meeting are for the residents of the community to meet with members of the police department to exchange information on what is occurring within the community. The community meetings are also used to educate our residents with crime prevention tips and reporting incidents to the police department. All village residents are invited attend. 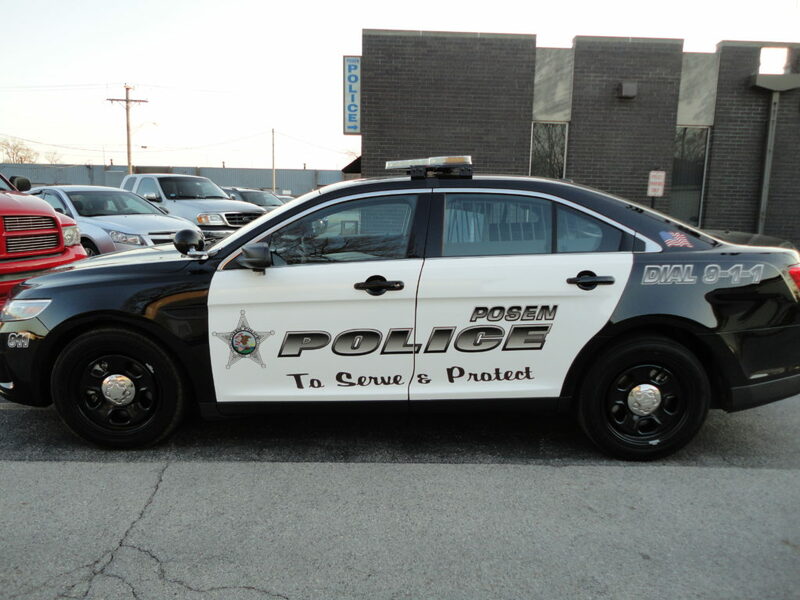 The Posen Police Department belongs to and actively participates in the South Suburban Major Crimes Task Force, South Suburban Emergency Response Team (SSERT) and Cook County Gang Crimes Task Force. In addition, the Posen Police Department participates in the DEA’s High Intensity Drug Trafficking Area program (HIDTA). Membership in these units allows the department to bring the vast resources of these specialized units to our community. Members of the Posen police department assigned to these units also obtain specialized training. All members of the community are encouraged to contact the police department if they observe anything suspicious. The High Intensity Drug Trafficking Areas program (HIDTA) was authorized by the Anti-Drug Abuse Act of 1988 and is administered by the Office of National Drug Control Policy. Since the original designation of five HIDTAs in 1990, the program has expanded to 31 areas of the country, including five partnerships along the southwest border. The DEA plays a very active role, and now has 282 special agent positions dedicated to the program. The 2000 HIDTA annual budget is projected to be $186 million. The HIDTA’s mission is to reduce drug trafficking in the most critical areas of the country, thereby reducing its impact in other areas. This is accomplished by institutionalizing teamwork among local, state, and federal efforts; synchronizing investments in strategy-based systems; and focusing on outcomes.